Nice 31.51 acre property, just minutes from Rockdale. Located on FM 487, which gives convenient access from a paved road. 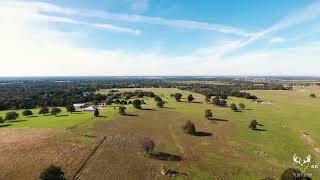 Property is ag exempt, and covered with scattered post oaks. No clearing needed, and property is easy to get around on! Several great homesite and pond locations. New fencing on several sides, and is ready to run livestock on. Good coastal grass in areas. New gate, culvert and driveway as well. Brand new pond recently built! Property was recently cross fenced, and older fence replaced, making it ready for livestock today. Rolling topography gives you great views to the north, and a high hill to build a future home on. Power runs along the front of the tract. Water well may be needed. Some minerals may be available, and light restrictions are in place to protect your investment.